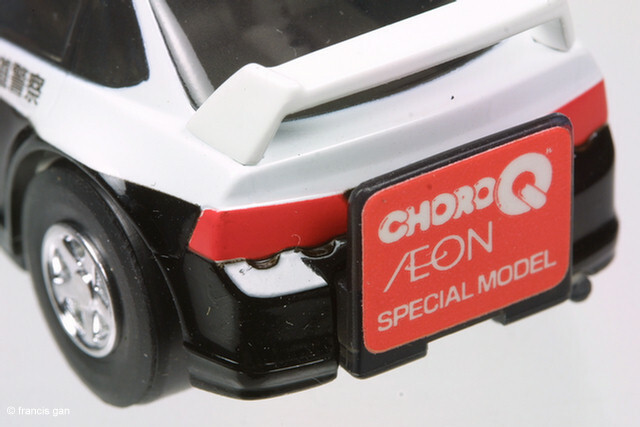 ChoroQ does not have many variations of the Integras in their lineup. 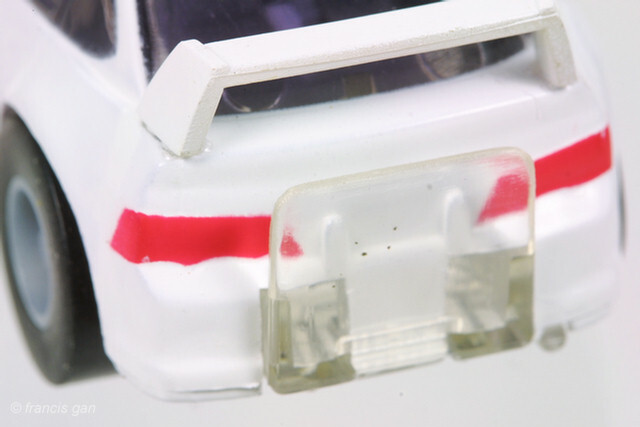 The detail is typical of the ChoroQ. 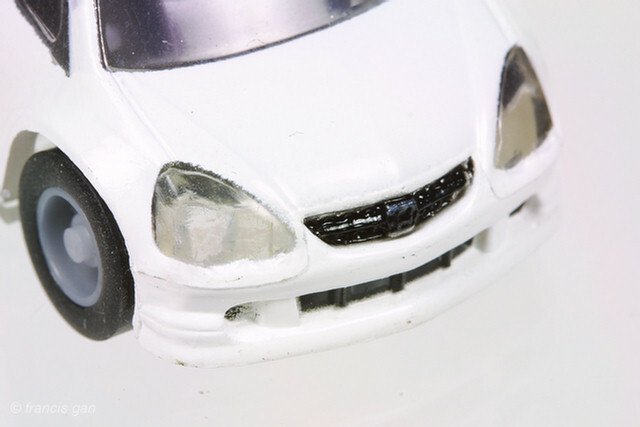 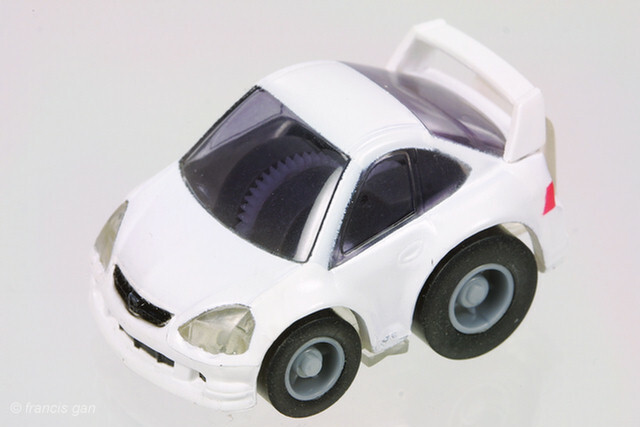 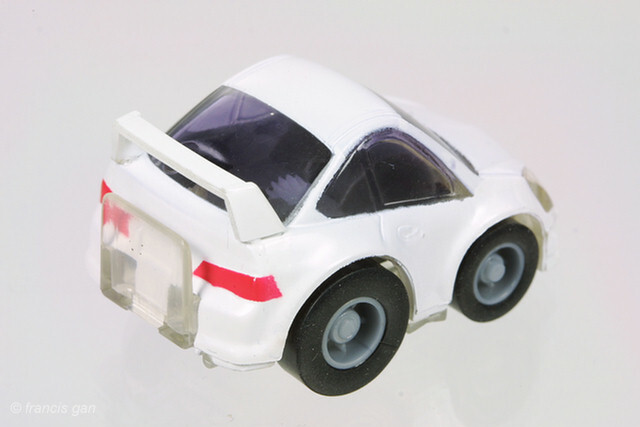 Here is a white Integra Type R from the 3 car set of Honda Type R cars. 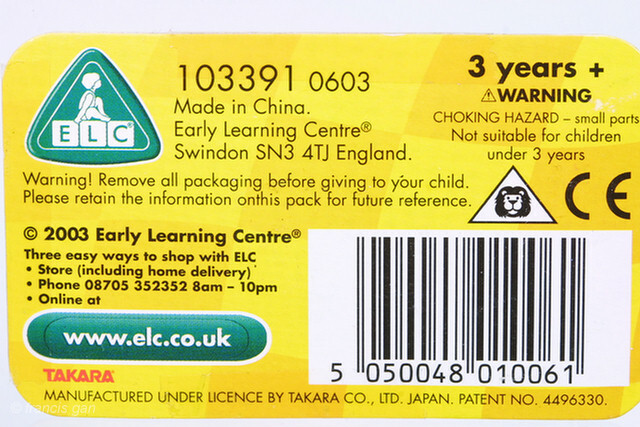 This is the OEM'd version for Early Learning Center with it's own packaging and a removable track guide attachment. 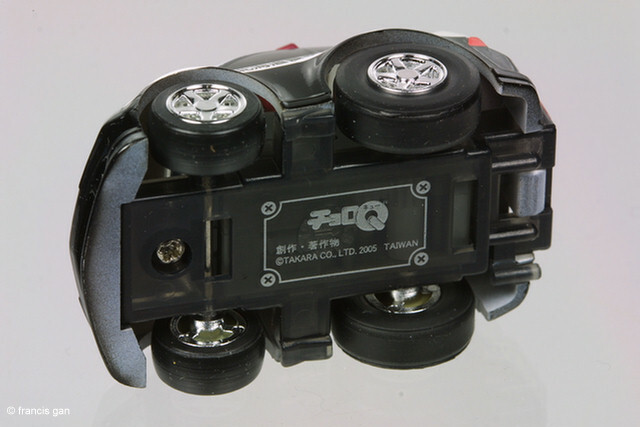 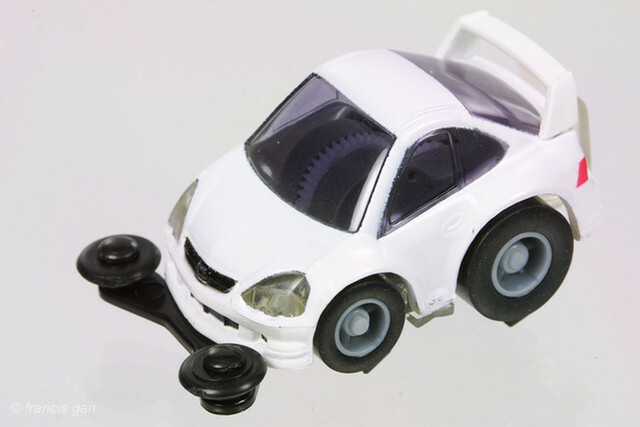 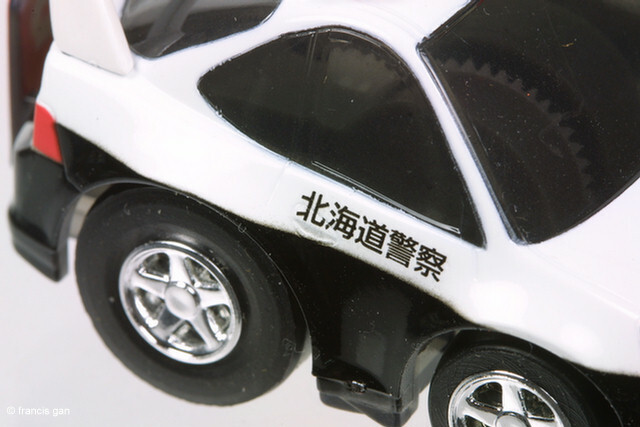 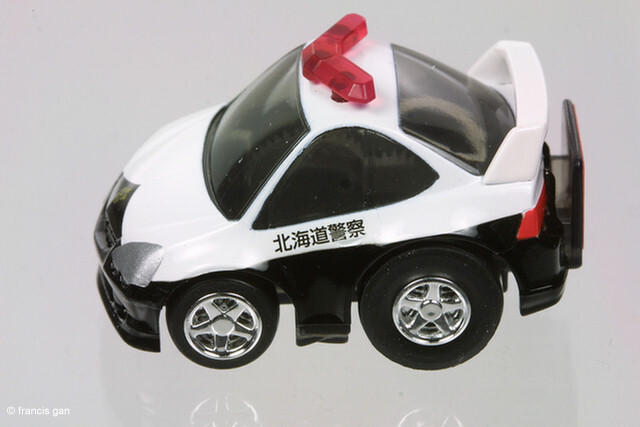 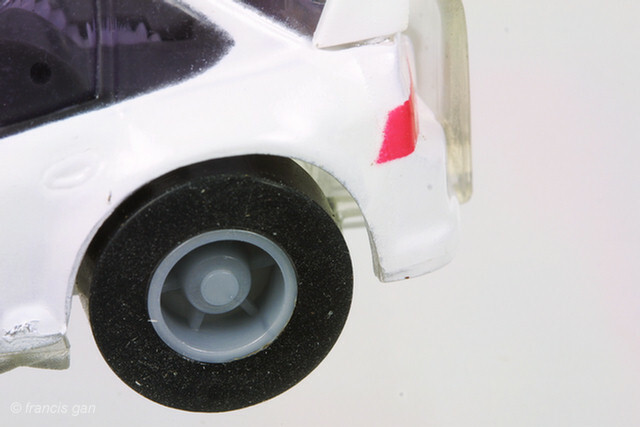 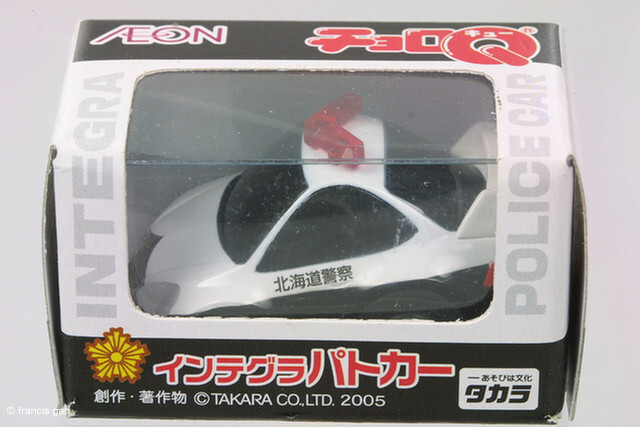 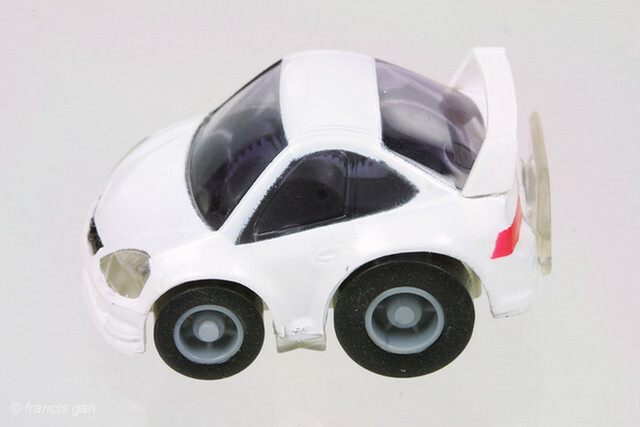 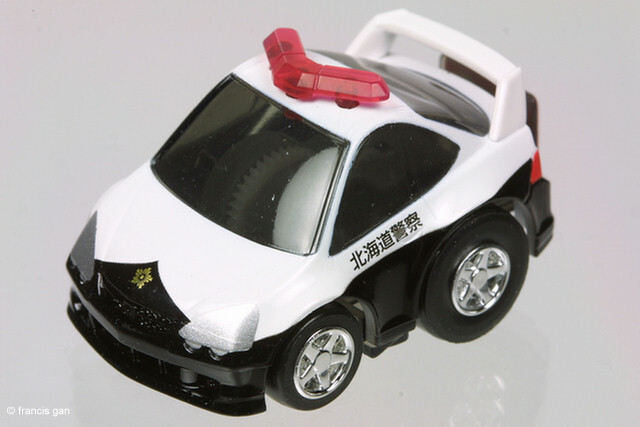 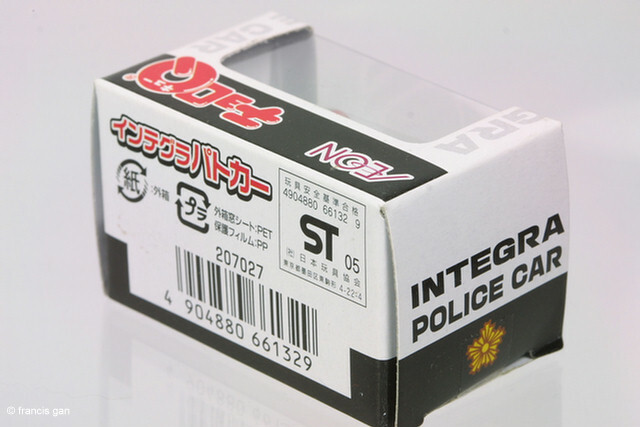 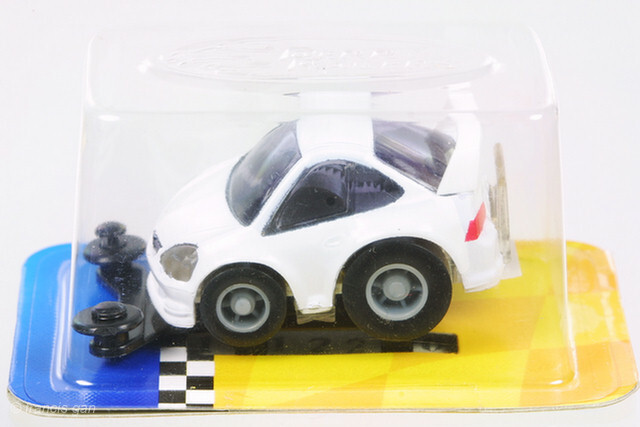 The wheels are grey and the base and backplate are different from the original ChoroQ boxed version.